Show your concern for the environment by stocking up on these 100 mm x 75 mm sticky note pads that are made from 100% recycled paper. The beauty of this product is that it can be used again and again. Each sheet has an adhesive backing that can be easily affixed, removed, and reapplied to most surface areas. This beneficial quality makes the sticky notes great for bookmarking important pages or contracts needing signatures; they are great for posting temporary signs or notes; and they can even be used to label computer cords. Instead of wasting paper and tape, which leaves a gunky residue, use a sticky note that can be put up, taken down, and put back up if needed-all without leaving a trace. The product's recycled paper can be personalized to make a bolder statement. 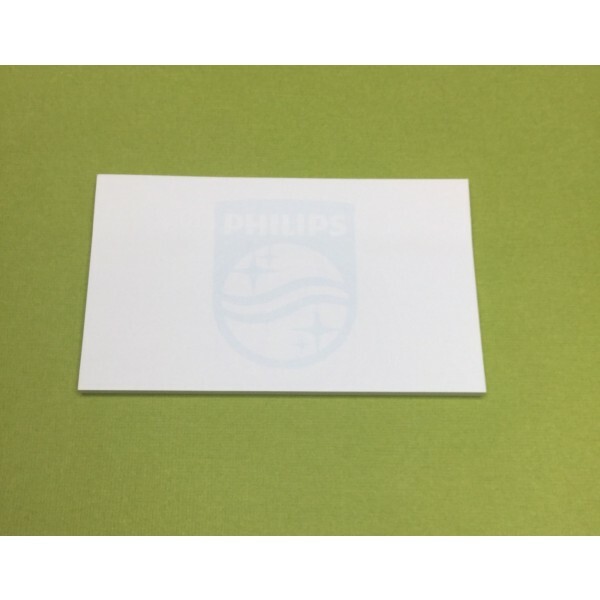 Each sheet of paper can be printed in one-colour with your company logo, mission, statement, or any supplied image. The price includes the cost of one-colour custom printing of any supplied image or wording (if desired). We do, however, recommend that the imprint area be no larger than 50% of the page size so that there is maximum writing space for the end-user. GST is not included. Printing is done in Australia and product(s) can only be delivered to customers within Australia.